Until recently, we have always had a big bowl of Legos on the conference room table. They are great to ‘toy’ with when waiting for folks to gather rather than have our noses buried in our mobile device screens. There are folks that can look at a pile of Legos and see a fire engine waiting to be built. There is the rest of us that see a lot of fun lockable color blocks. 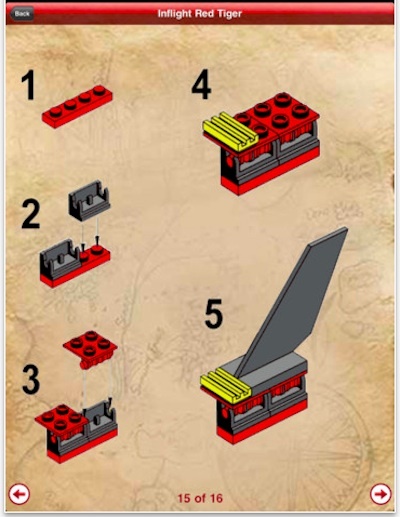 Assembled by fans, a Free app for the iPad of Lego block building instructions. There is over 100 different things to build, each with step-by-step pictures to help along the way. Many things to build do require specialty parts, but those build up in a collection over time. 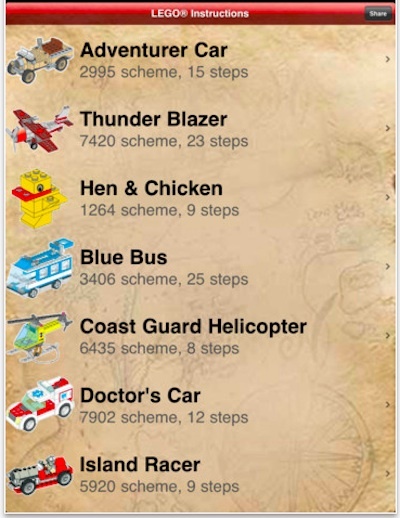 Just flip through the long list of things like Cars, planes, animals, ships and more… find one and start building.